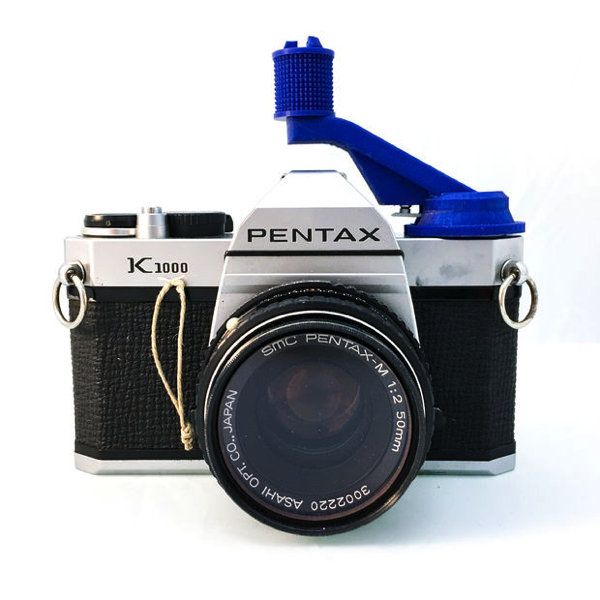 Pentax K1000 Slit-Scan Camera #celebratephotography « Adafruit Industries – Makers, hackers, artists, designers and engineers! If we understand a photography as a representation of the space (where we are capable to perceive 4 dimensions: 3 spatial ones, that can be represented in a Cartesian coordinate system with the X, Y and Z coordinates, and one forth temporal dimension). In traditional photography, the temporal dimension is blocked by choosing the moment when we press the camera shooter and one of the three spatial dimensions is also blocked as we choose a projection of the space by deciding the perspective. For this reason, the resulting photography can be represented in a 2 dimension plane: the camera film and later a photographic paper. We can say that a common photography is representing the X and Y coordinates of the space and fixing the time and 3rd space coordinate (despite actually a photography is a 2D projection of the 3D spatial coordinates rather than a slice of the space volume). Slit-scan photography allows us to substitute one of the space coordinates translated to the photography by the time dimension. Thus representing the time instead of the X spatial coordinate. In other words, you are recording the visual information of what you can see through a slot (with theoretically a differential thickness) with the pass of the time. This allows capturing the time in the image (by sacrificing one spatial dimension). It can be interesting to apply this technique to represent the evolution of things through time. Especially when the motive is dynamic and its shape evolves with the time. My personal interest in photography is basically the sea and the waves (Flickr), for this reason, I have used this technique to represent the dynamism and shape transformation of sea waves from a different and interesting point of view.